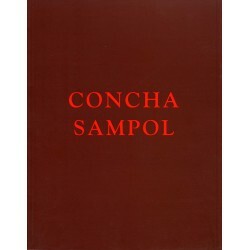 CONCHA SAMPOL (Palma de Mallorca 1952). She studied in Art School at Barcelona’s University, Design in BCD, Ceramic in Caolí and Engraving in Barcelona’s University. The first one individual shows were: 1996 S’horabaixa in Galeria Interior, Girona, Spain & 1997 Somnis in Gynaikos, Barcelona. 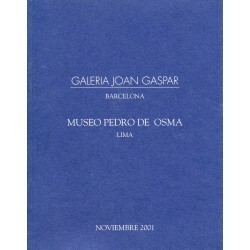 Her first one show in Galeria Joan Gaspar-Barcelona took place in 1997 New-Art . In 1998 Pinturas-Dibujos . 2001 Chiado and 2004 Geologías in Galeria Joan Gaspar-Barcelona & Madrid. Also he was present in Artefiera Bologna, Italy 2003-2004 and ARCO Madrid, Spain 2000-2004-2005. 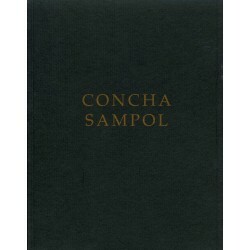 SAMPOL Concha There are 4 products. 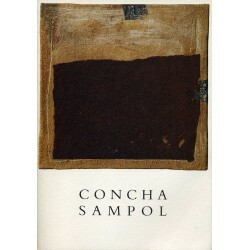 Catalogue Artist: Concha Sampol Title: "Chiado" (catalogue from the exhibition that took place at the Galeria Joan Gaspar, Barcelona) Year: March-May 2001 Size: 27 x 21 x 0,6 cm. Pages: 62 Illustrations: 45 (photography: Jaume Blassi) Attention! The colour that you see at you screen may vary from the original catalogue. Catalogue Artist: Concha Sampol Title: "Pintures Dibuixos" (catalogue from the exhibition that took place at the Galeria Joan Gaspar, Barcelona) Year: October - November 1998 Size: 27 x 19 x 0,5 cm. Pages: 47 Illustrations: 50 (photography: Jaume Blassi) Attention! The colour that you see at you screen may vary from the original catalogue.